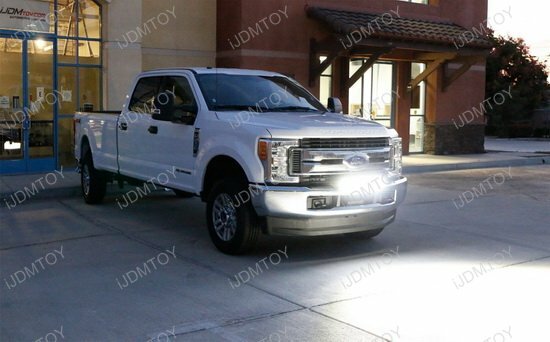 Q: What truck will this triple-row LED light bar fit in? 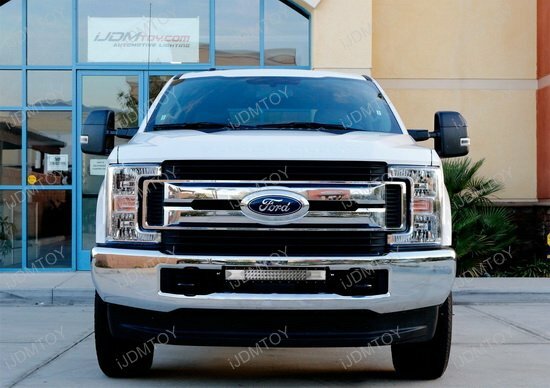 A: The 21" flood/spot beam triple row LED light bar is made to fit the 2017-up Ford F-250 and F-350 Superduty. 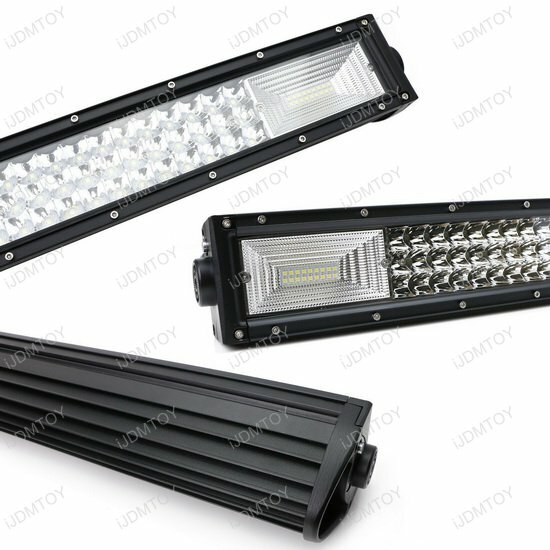 For a high concentration AND wide spread of light, there are few options than the flood/spot beam triple-row high powered LED light bar! 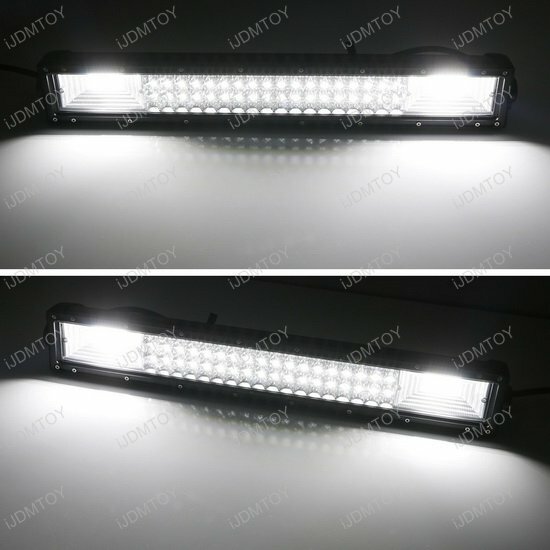 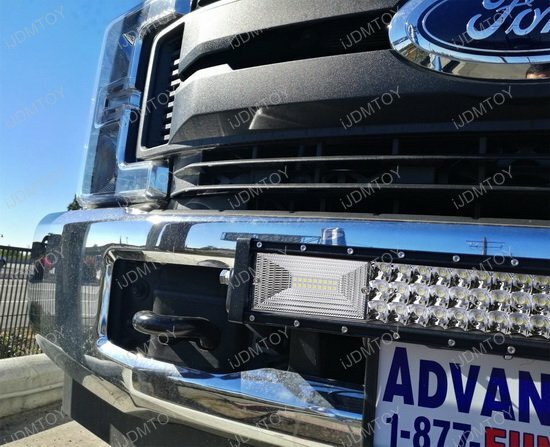 This is a newly designed LED light bar that boasts a triple row array of LED diodes for the spot beam along with flood beam patterns on either end. 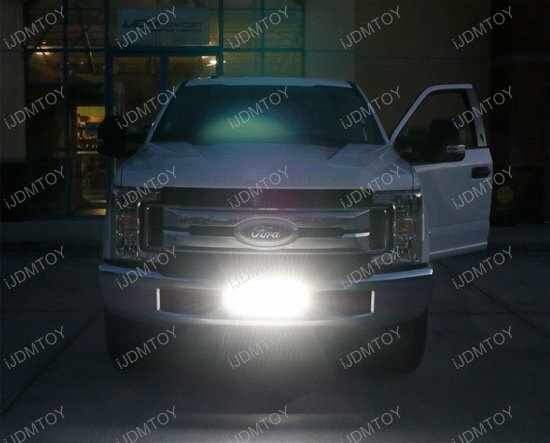 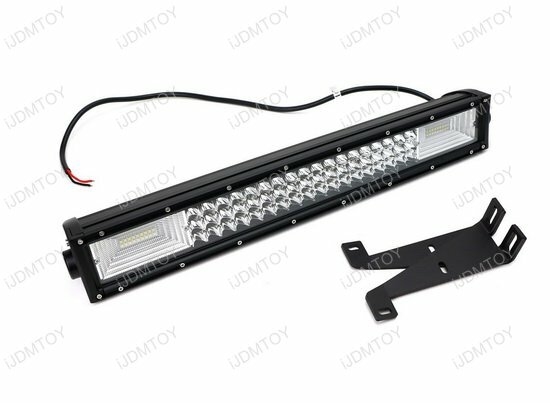 Each powerful 21" LED light bar is made up of 90 3030-SMT LED chips, each rated at 1.5W, and comes standard with a pair of custom made lower grille mounting brackets and a relay wiring harness with on/off switch. 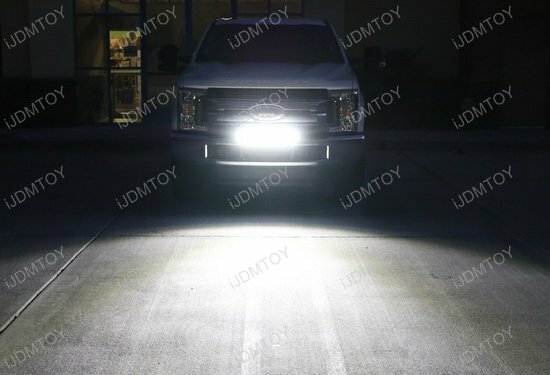 This triple row LED light bar has a unique look unlike any other and is a great high-caliber source of light that's made for any situation! 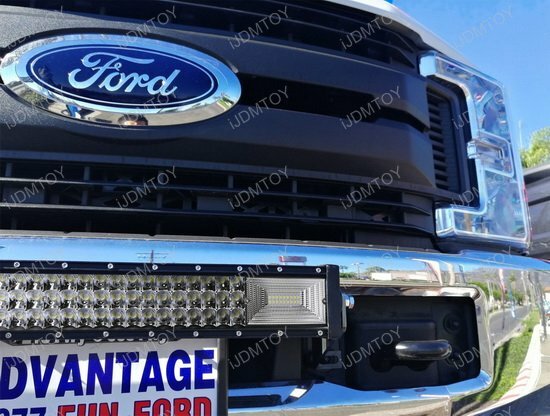 The 21" flood/spot beam triple row high power LED light bar is made to fit the 2017-up Ford F-250 F-350 Super Duty trucks.